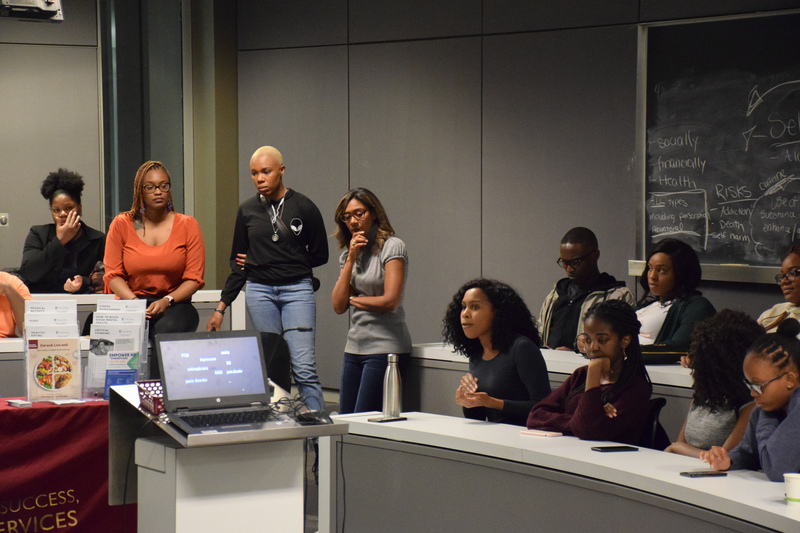 Concordia’s very own ACSioN Network—which stands for African and Caribbean Synergic Interorganizational Network—hosted a mental health awareness event on Friday. ACSioN is an umbrella association within the black diaspora at Concordia along with the Caribbean Student Union, Haitian Students’ Association and the African Students’ Association of Concordia. Tetdra Providence, a linguistics major and the president of ACSioN Concordia, said the objective is to beat the stigma surrounding mental health in black communities. Providence hopes that by hosting these events, students from black communities will want to speak up about issues that are bothering them. Many clubs at Concordia such as BIPOC hold mental health awareness events all the time, but a lot of people are scared of stepping foot into a room where it’s being discussed, according to Providence. Providence said that often times, people fear what others think of them, assuming that because they attend these types of events, they immediately have a mental health issue or need some type of support. She added that people also fear they will be treated differently once they speak up about their mental health issues. “Everyone, not just in the black community, is sheltered about mental health,” said Providence. To facilitate the process, Providence set up an anonymous link where attendees were able to ask questions prior to the meeting. In addition, two of the three guests were health professionals from the black community, a nurse and a psychologist. “A lot of people don’t want to see a therapist if that therapist can’t understand their background difficulties, so we search and try to find people who are black who can come and directly inform our audience,” Providence said. Andie Franceska Franklin, the assistant outreach coordinator for ACSioN, said the event raised the issue of mental health awareness in black communities being linked to religion and poverty. As a culture, there is a larger concern with what is immediate. According to the World Health Organization, socioeconomic status is largely linked to mental health, given that people who are impoverished, homeless or have substance abuse problems are at a higher risk for mental illnesses. According to Mental Health America, people need to be more conscious of the fact that issues such as racism and oppression continue to have a major impact on the mental health of those in the black community. More information about ACSioN can be found on their website. A list of mental health services can be found on Concordia’s website.